Wild Geese Martial Arts is Paul Cox & Dave Hedges. 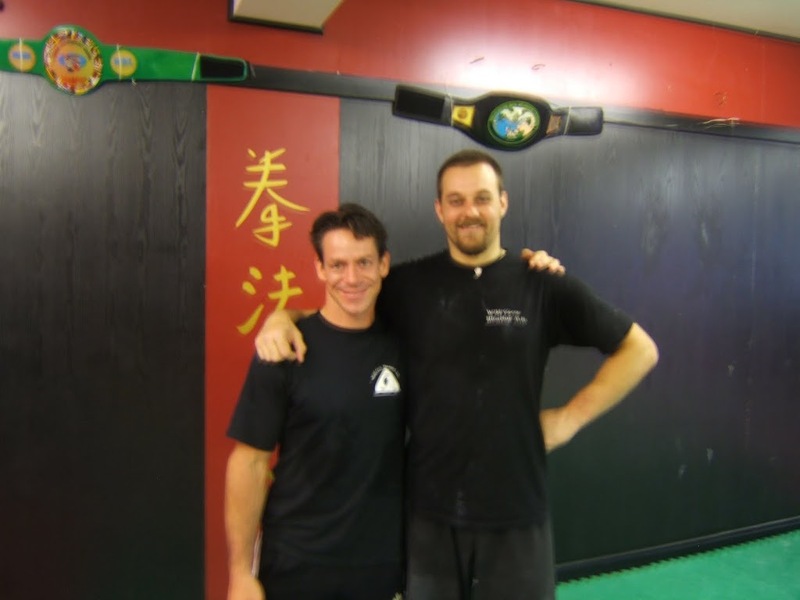 Together they lead a team of dedicated and highly skilled instructors covering several martial art styles as well as fitness, strength & conditioning and movement therapy. 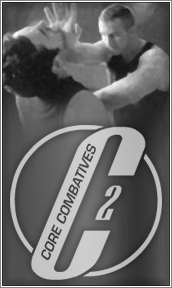 Mick Coup, the man behind the world renowned Core Combatives self defence training system is coming to Wild Geese to teach his Knife Management 2 day seminar. To present workable strategies, tactics and techniques to reduce, counter, and survive a worst-case continuous assault by an assailant with a knife or similar weapon. A hostile, committed, close-proximity adversary armed with a knife represents the worst-case personal combat scenario. No guarantees can be provided – reducing lethality, increasing survivability, and improving reactive-countermeasure options are the overall focus of this seminar. There will be progressive, continual force-on-force drilling, involving light to substantial impact, utilising a combination of protective equipment and solid training weapons, and incorporating full-resistance grappling. The seminar will be delivered over a 4-5 hour period, inclusive of breaks. Comfortable training clothes, indoor non-marking footwear essential, ensure nothing is worn that might injure a training partner. Personal protective equipment such as gumshields and groin protectors are mandatory. Note-taking material and fluids are recommended. Pre-attendance of Combat Management and Contact Management seminars, and/or the Foundation Course, is strongly recommended but not essential. Ages over 18 only. To present workable strategies, tactics and techniques to address the presence of a knife or similar weapon, where an assault is not yet in-progress. The presence of a knife being brandished at close-proximity, for the purpose of intimidation and coercion, or as a precursor to an active physical assault, presents a limited window of opportunity for effective active-countermeasure options – and these are the focus of this seminar. If this of interest to you and you wish to receive more information, email us using the following contact form. 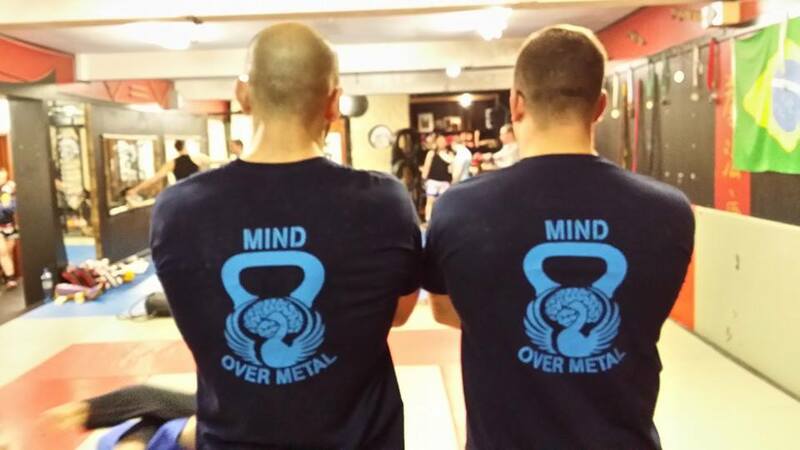 You have to have been living under a rock to not have heard about the value of kettlebell training for martial arts. If you train at Wild Geese Martial Arts, you’ll be familiar with the extensive set of kettles behind the squat rack at the end of the room. 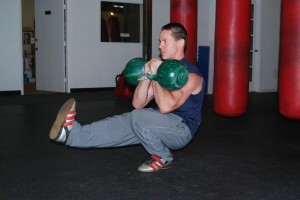 You should also be aware of Coach Dave Hedges, WGMA’s resident Strength & Conditioning coach who is always willing to help out our competitive fighters by using these tools. You may not know that Dave has a coach he learns from. A man who is also an accomplished martial artist, who knows the body, is known for incredible feats of strength, power and mobility. A man that BJJ legend Xande Ribiero has recently hired to prepare for his next BJJ cometition. A man who will be in Wild Geese next month to run a short workshop on his training methods. Non other than Steve Cotter. And here’s a clip of him and his business partner, Ken Blackburn teaching a workshop. Jumo to 3min 20s to see Steve really show off! There’s a reason he’s one of the worlds most popular and sought after coaches. 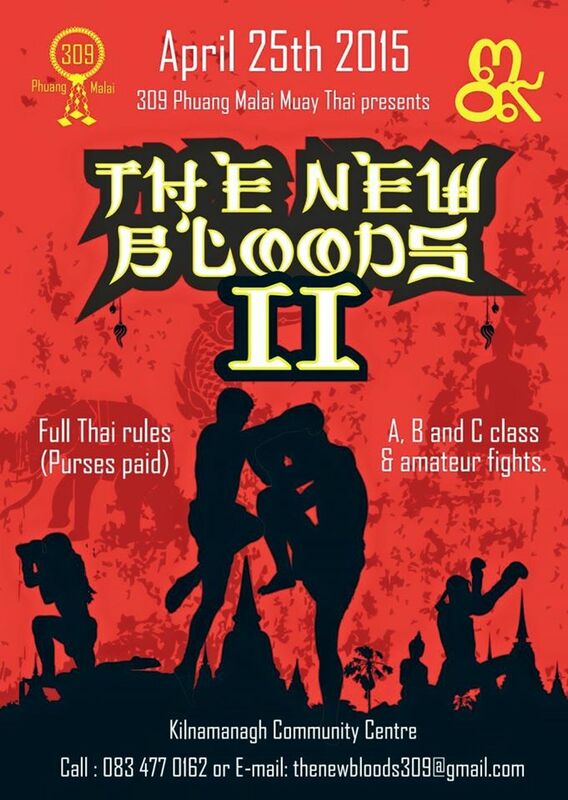 Tickets are on sale now for May 21st in Wild Geese. Last weekend we had the privilege of hosting a Tenshinshō-den Katori Shintō ryū seminar at Wild Geese Martial Arts. Jeffrey Balmer (Menkyo, Shidosha) travelled all the way down to Dublin for a full weekend training program with the Dublin study group. 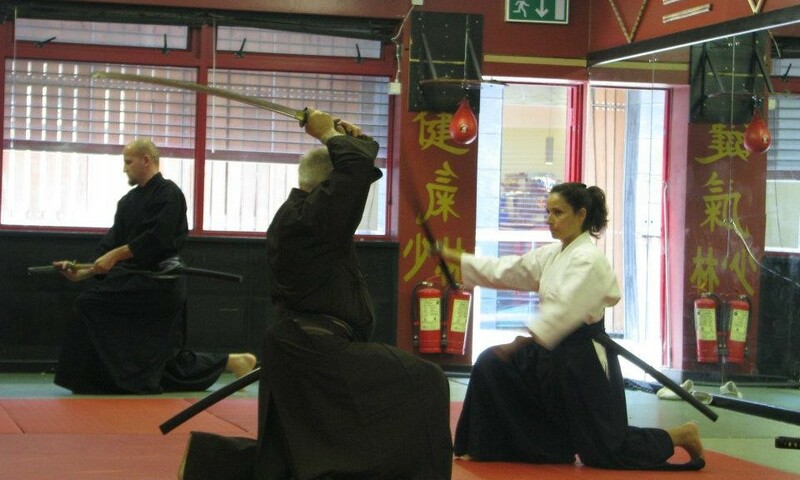 Beginners were introduced to iai-jutsu (sword-drawing art) and itsusu no tachi (the very first combat paired sequence in kenjutsu, sword art), the more advanced students had the chance to train and improve bōjutsu (staff art). People had the chance to learn about the tradition of the school, the different weapons that it masters and a glimpse of the real application of the techniques hidden behind the sequence of movements called kata. and Chikujō-jutsu (field fortification art). Even today, the ryū retains the traditionally strict custom in which a candidate for study in the ryū is required to execute the keppan, signing, in the person’s own blood, a solemn oath to abide by the policies of the ryū. In this way, the Tenshinshō-den Katori Shintō ryū has been able to maintain the originality of its teachings, both in spirit and form, precisely as Master Iizasa Chōisai Ienao, the founder, detailed these matters over 600 years ago. The Tenshinshō-den Katori Shintō ryū has become a well-known and much sought after traditional martial art in many countries around the world. Regrettably, a number of people are teaching and using the name of the ryū without written authority. A Kyōshi (teaching) license does not signify permission to teach in Katori Shintō Ryū; in fact, no one is permitted to represent in any way, or teach the techniques of this ryū without a written Shidōsha (instructor) license from Ōtake Risuke Shihan. Thank you guys for an amazing weekend. I’m a student of the Tenshin Shoden Katori Shinto ryu bujutsu under Menkyo Shidosha Jeffrey Balmer from Ireland. We are all students of Otake Risuke sensei. This email is to cordially invite you to the Katori Shinto ryu seminar to take place on Friday March 20, Saturday March 21, Sunday March 22 and Monday March 23 here in Dublin. This 4 day event is going to be free for beginners. We will count with the presence of Menkyo Shidosha Jeffrey Balmer. The Liffey Trust Studios, Liffey Trust Centre, North Wall, Dublin 1. Wild Geese Martial Arts, 14 Magennis Place, Pearse St Dublin 2. – If you do posses Navy keikogi and navy/black hakama and a bokuto would be ideal, if not, comfortable clothes would do, we will provide the needed equipment. – Confirm your booking by emailing me back saying you are interested (we have only 10 spots left). – If you cant make it to the start of the session, tell me what days and what times you can come, do not drop without letting know first! – Bring the best of you to this training session, leave your ego behind. You may have noticed, the website has changed a wee bit! We’ve been busy here at WGMA trying to bring the stuff online up to the standard of the stuff we do in our training. It’s not easy, we’re not techies, but we’re getting there. So take some time to have a look about the new site, we’re pretty pleased it. We’re still working on it, we’ve a few instructor profiles missing and more stuff to go into the shop page, but that’ll be fixed as soon as. 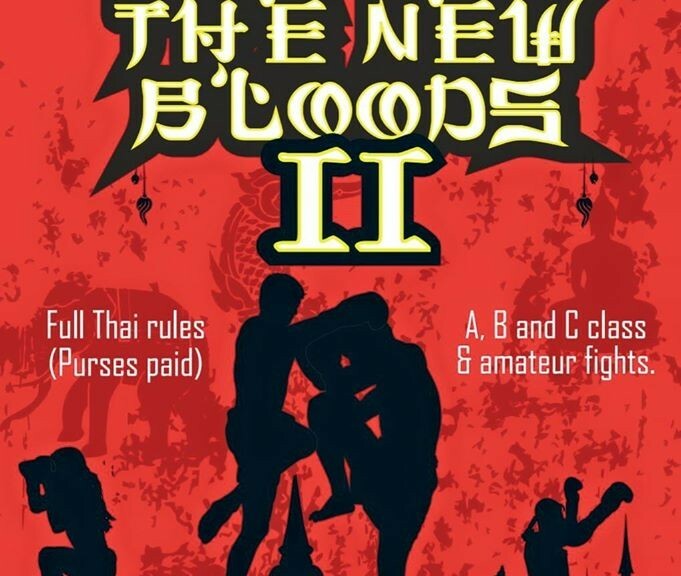 One thing you may notice in the “Other Martial Arts” page is a new class. We’re pleased to now host a Katori Shinto Ryu class every Saturday morning under the tutelage of GianCarlo Sanchez. We’ve seen him in action and he’s a dedicated practitioner of this historical Japanese warrior art. Feel free to drop in and try a session with him. Here’s a link to his page. We hope to have more content coming out as soon as we can and get this blog busy again. 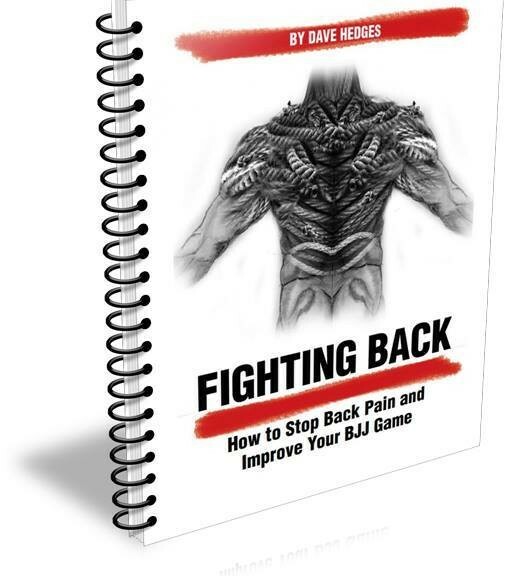 Last year I launched the eBook Fighting Back, which has been very well received by more than just the BJJ crowd it is aimed at. 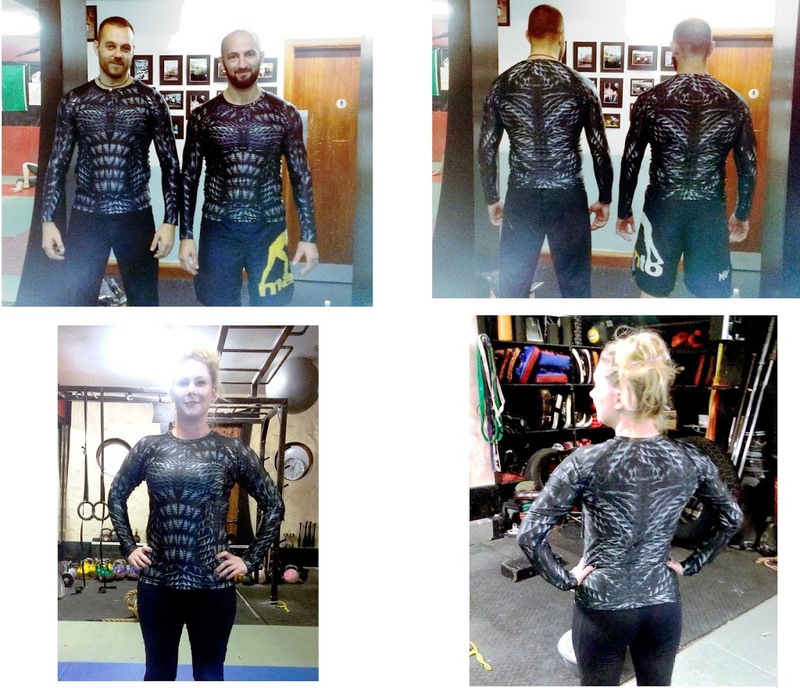 The cover art featured a torso made from ropes, to which I received several requests to turn into a Rash Guard print. This then is that print. 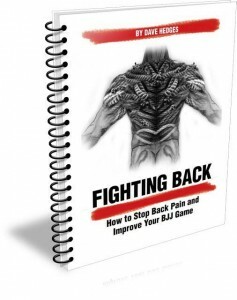 The Rash Guard cost €40 each, and each purchase will include a pdf copy of the Fighting Back manual. Place your order using the form below, any posting and packaging will be added to the cost of the shirt. Once the order is placed you will receive a download link for the eBook. 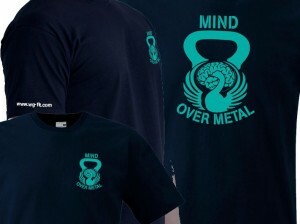 This is the new Training T-shirt from Dave Hedges and his WG-Fit crew. The shirt is to support the HOPS (Hope & Peer Support) Centre for Mental Health which Dave has worked very closely with for several years. The T-Shirts cost €20 each,Hoddies €50 of which €5 will go directly to the centre. Place your order using the form below, any posting and packaging will be added to the cost of the shirt. Wild Geese co founder and conditioning coach, Dave Hedges, is taking on a huge challenge. 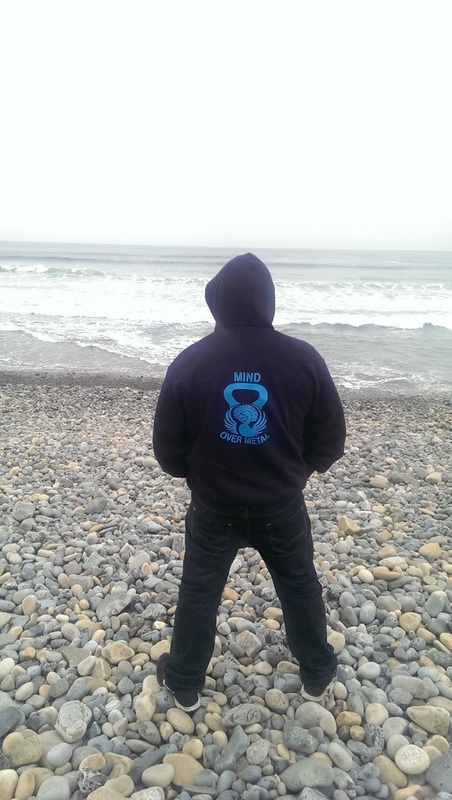 Last year he, with the help of some of you, raised €5000 for Rehab Care by doing a mile of Walking Kettlebell Swings. That’s over 2000 repetitions with a 16kg bell. This year he’s upped the ante. This time around he’ll be using a 24kg bell. 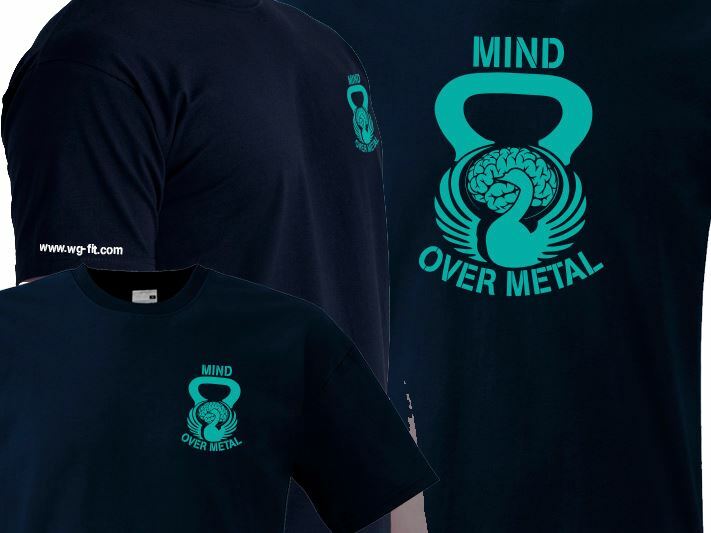 Along side him will also be a handful of his Kettlebell Fitness regulars, most of whom will also be attempting the mile and a few who will be working as a relay team. You can also buy raffle tickets from Dave at the club. The event will take place in Irishtown Stadium from 1pm, please come down and show your support, cheer the guys on and meet some of the people who use the Rehab Care centre and will benefit directly from this event.